At DMT Foam Insulation, building science is the driving force behind why and what we do. Anyone can spray foam but having a contractor that knows how homes function as a system is key. Our homes are living breathing things and alterations in one place many times will affect something elsewhere. Using building science allows us to make informed decisions in our client's best interest, making sure that we leave them with lasting healthy and efficient homes. Using spray foam can help with energy savings of up to 40% over other insulation techniques, allowing you to recoup your initial investment in as little as five years. Spray foam prevents air from flowing in and out of your home eliminating outdoor pollutants such as smog, pollen, dust, insects and pests from penetrating your home. 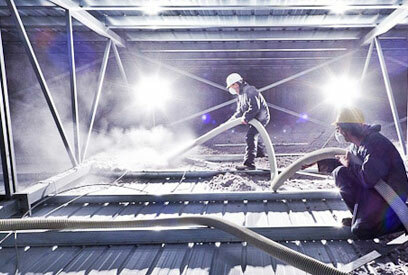 Spray foam also has the added benefit that it inhibits the growth of mold and bacteria. All that adds up to a safer, healthier home for you and your family. Because foam is spray applied it completely conforms to the void it is filling, essentially gluing your home together. In particular when using 2lb. foam depending on the thickness it can increase the structural rigidity by 3 to 4 times. Because spray foam is so effective at stopping air leakage a properly insulated and sealed home will use considerable less energy dollars to heat and cool. If your home uses less heating and cooling the demand on the environment that provides that energy (coal, natural gas and propane) is significantly reduced. 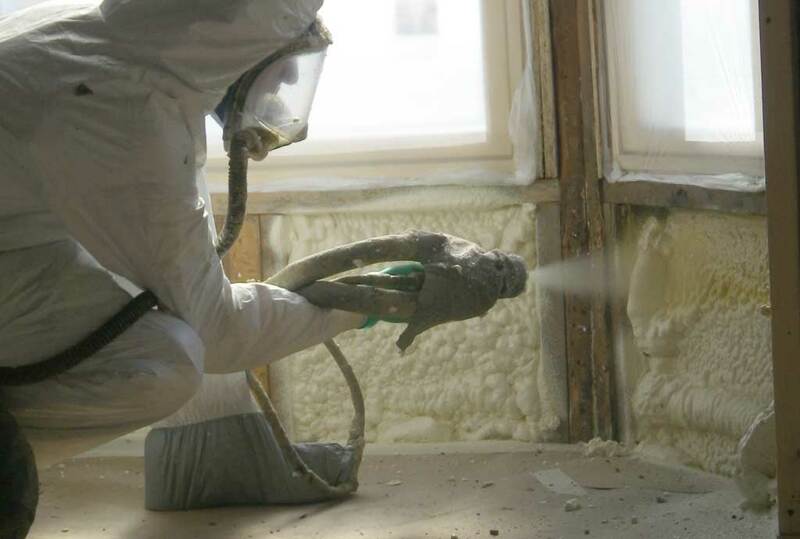 Cellulose: A great insulation to meet your energy saving needs! Sometimes we need an insulation that better suits our project's requirements or meets our project's budget. Cellulose has historically been known as the dusty stuff in the attic but that’s simply not the case any more. When used correctly cellulose can offer great energy savings at a significantly lower cost - when compared to other insulations. DMT Foam started offering cellulose when we realized that sometimes foam is not always the answer to your energy problem. Cellulose is a great material to increase overall R value to an existing project. Many contractors simply skimp on materials or their lack of knowledge on proper insulation technique shorted their client. DMT Foam Inc can install cellulose over existing insulation - be it fiberglass or cellulose to increase the overall R value of your home. This is not limited to just attics though, walls can be dense packed as well to help eliminate drafts and increase the comfort of your home. With energy saving being ever more important these days, sometimes your old insulation is not up to the task. DMT Foam Inc can remove the existing insulation so your attic can be appropriately sealed and re-insulated to save you energy dollars. Removal is not just limited to energy savings, particularly when it comes to remodeling clearing an attic space prior can be a big advantage to you! Instead of having the existing insulation rain down on you as the project is gutted, DMT Foam can vacuum out the insulation prior to that – making it a much cleaner and easier renovation. Unfortunately some homeowners have experienced home fires which alone can be devistaing but, the clean up afterwards can be even more frustrating. DMT Foam Inc has helped in quite a few instances to speed the process along with the removal of wet and smoke damaged insulations. 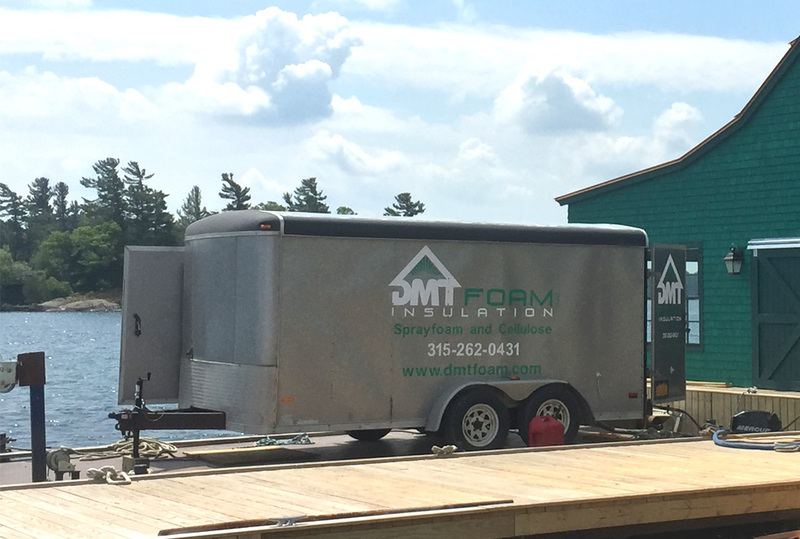 If you have any questions on removal of your exsiting insulation please feel free to contact DMT Foam Inc. today! Don’t think much of your crawl-space? We do! Crawl-spaces are one of those things that we at DMT Foam Insulation have spent a lot of time thinking about. I know for many homeowners it is the place where spiders like to congregate - so "no thank you, why bother going in there?" True, the crawl-space is not a fun place to go but energy issues that can affect the whole house many times stem from these locations. We at DMT Foam insulation decided years ago that if we were going to go in those crawl spaces we might as well make them clean as well as efficient too! If you're tired of the cold floors and lingering odors from your crawl space give us a call – we would be glad to help. 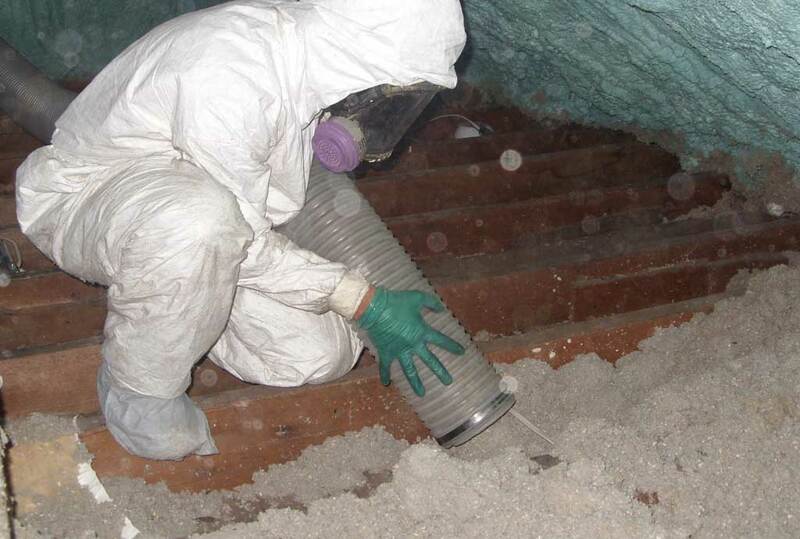 Crawl-space liners protect a home from the inside. In addition to reducing moisture in a basement or crawlspace, which prevents rot and detioriation of structure that is below grade, crawl-space liners can improve the air quality of the entire house. Do you wonder what could possibly be causing that annoying draft coming from the corner or if there is even any insulation in the walls? Well, DMT Foam Inc can help. Thermal Imagery is an excellent tool in our arsenal of testing equipment to better identify energy issues. 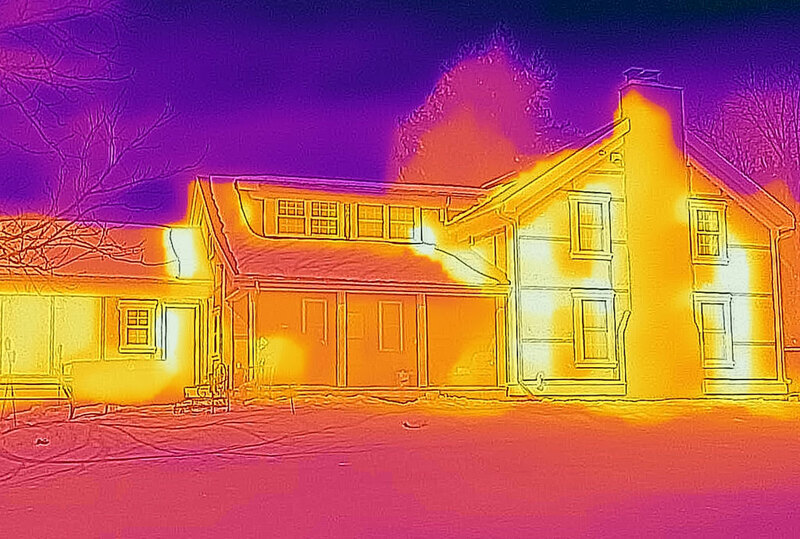 We use thermal imaging to inspect for air leakage, lack of insulation and even moisture problems that may exist inside a home. If you have any questions about possible energy issues in your home contact DMT Foam Inc. today. Leaky houses use more energy and are in general less comfortable than a sealed home. Blower door testing allows us to find and address air sealing issues and then verify that the air sealing measures that are taken are effective. DMT Foam Inc. uses our blower door to both alternately pressurize and depressurize your house to reveal air movement - and leaks - that keep your home from being as energy efficient as it could be. DMT Foam Inc. also provides blower door testing for NY State building code compliancy. Recent NY energy regulations mandate that a new home meets certain criteria when it comes to air tightness, to make sure energy use in minimized. 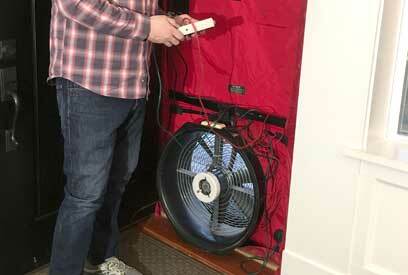 Blower door testing is in our opinion the best way to test if your home is in compliance with the new energy code. So if you are in the process of building and in need of a blower door test contact DMT Foam Inc. today. 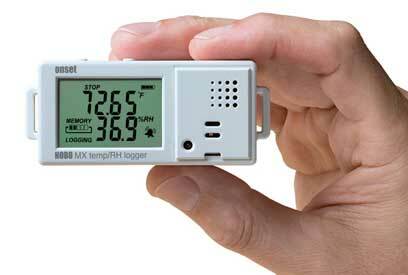 Portable data loggers are ideal tools for collecting building performance data. These compact devices can also help establish energy performance baselines, and reveal a building’s performance under real-world, rather than modeled, circumstances. They measure changes in temperature and energy use under real-world conditions. Providing spray foam insulation, blown-in cellulose insulation and energy audit services for Northern New York, Upstate NY, Thousand Islands, Adirondacks, Potsdam, Massena, Canton, Watertown and the North Country. © 2019 Copyright DMT Foam Inc. All rights reserved.